Anger is a cowardly emotion. It only comes out when it believes it is safe to play. And unfortunately, this means behind the private walls of my home, my kids become easy targets of my anger. I see the cowardliness of anger every time I’m fuming over something my kids are doing—and then the phone rings. Suddenly, without a great deal of effort on my part, my voice can go from venomous viper to smiley secretary as I put on my best face for the one on the other end of the call. But when anger mixes with sinful motives, it ceases to be a loving response to a perceived evil in the world. 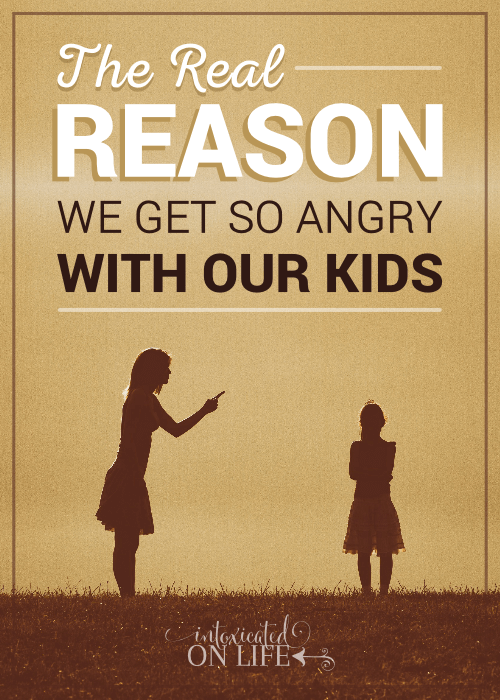 The Wrong Trigger – We should get angry with our kids over the right things—the things God condemns, not merely matters of personal preference or annoyance. 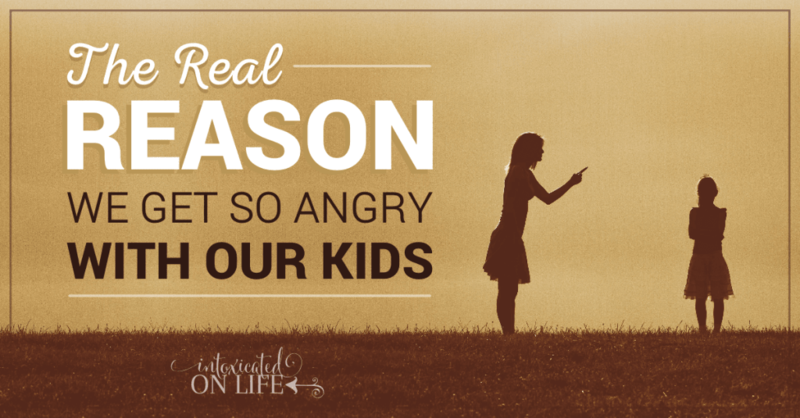 The Wrong Response – Godly anger wants to see sin removed and our sinful children redeemed. Ungodly anger, however, attacks and cuts down the other person. The Wrong Duration – Godly anger isn’t bitter or irritable; it pushes toward forgiveness. 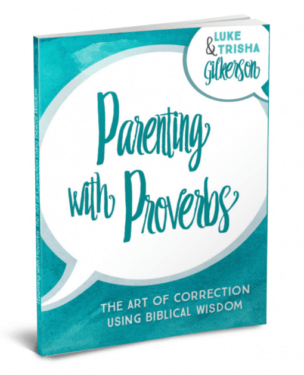 Ungodly anger stews over our kids’ bad behavior, replaying each offensive detail over and over in the mind. A Lack of Control – Godly anger never loses it, is never rash, and is never hotheaded. It is always controlled. Ungodly anger, on the other hand, controls you. The Wrong Motive – Godly anger is always motivated by wanting God to be honored. Ungodly anger is about protecting our own convenience or reputation. Primed – Once expressed, godly anger brings peace back to one’s emotional disposition. Ungodly anger is primed and ready to react to our kids’ habitual sins—we are “just waiting” for our kids to act up. Paul tells us here the opposite of ungodly anger is not just stuffing it down and holding our tongue. It is love, kindness, tenderheartedness, and forgiveness. That sounds nice, but how do we actually do it? At the risk of sounding simplistic, the secret to overcoming ungodly anger is becoming absorbed in the merciful character of Christ. In short, having a mercy agenda means expecting to suffer. We easily get angry when we expect something else. 1. Instead of anger, expect to suffer with your kids. Christ did not just feel pity for us from afar. He descended to Earth (Eph. 4:9) and preached peace to all far and near (2:17). He left the glories of His Father’s side to suffer alongside us in the miseries of this life. As parents, we should expect to suffer with our kids. Having a mercy agenda means we expect to be distressed over our kids’ weaknesses, pains, and struggles, not selfishly protecting our time by remaining cold, distant, or annoyed by their petty problems. 2. Instead of anger, expect to suffer for your kids. 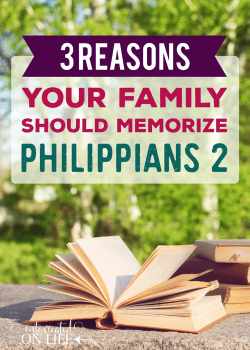 Paul says Jesus “gave himself up for us” (5:2)—we should not gloss over these words. Both in His life and in His horrific death, He sacrificed any natural desire for comfort, self-preservation, or personal achievement. And he did so to bear our sins so we could be reconciled to God (1:7; 2:16). As parents, we should expect to suffer for our kids—to radically inconvenience our lives so they suffer less. We make money to put a roof over their heads, shoes on their feet, and food in their bellies. We teach and train—again and again and again—so they can learn how to navigate this broken world in a wise manner. Having a mercy agenda means we sacrifice time, talent, and treasure for our kids, not stewing in bitterness because we feel as if our life has been robbed of its freedoms. 3. Instead of anger, expect to suffer because of your kids. When Paul says Jesus presented Himself as “a fragrant offering and sacrifice to God” (5:2), he is using priestly language of an animal being slain—a graphic reminder of what Christ endured on the cross. Christ suffered butchery at the hands of evil men. As parents, we should expect to suffer because of our kids. Our kids will cause us suffering. Period. In time, our kids will disobey us. They will disrespect us. They may even deliberately break our hearts. But having a mercy agenda expects this kind of suffering and chooses forgiveness. If you’re like me, you see these expectations and you sink under the weight of them. What gives us the strength and desire to have a mercy agenda? We grow in mercy only by becoming more and more fascinated with our merciful Savior. As we see his mercy agenda for us, our hearts are filled with a fresh love for others—including our kids. The million dollar question is the HOW. 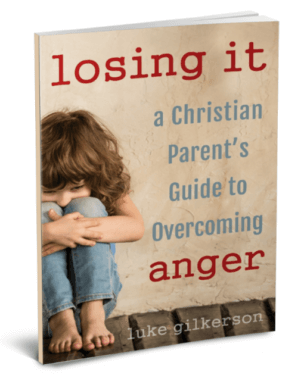 Ungodly anger just seems to be part of who we are (because it is), so HOW does God give us the wisdom and power to overcome our anger and treat our kids differently? We invite you to come to our training course: Losing It! 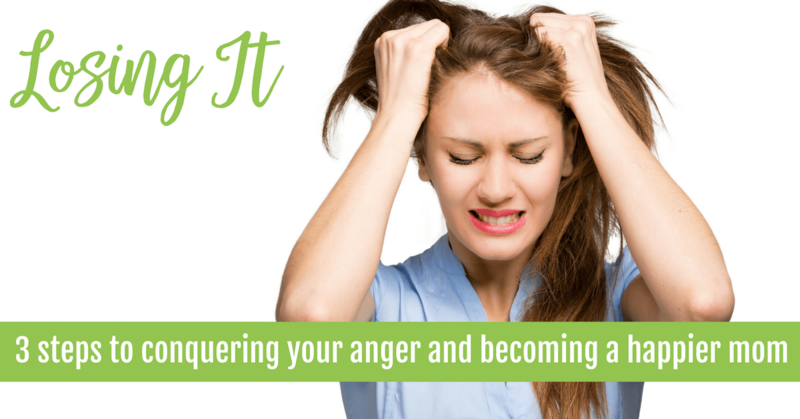 ​3 steps to conquering your anger and becoming a happier mom. 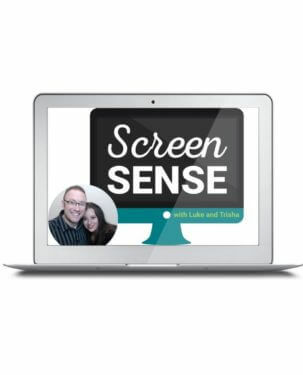 This online training is great for moms (and dads) who want to do more than just learn how to manage their anger. They want to get to the root of it and replace it with joy. Wow!! You really spoke to my heart on this one. And opened my eyes! Thank you for this reminder! I battle anger and I love the focus on having a mercy agenda! This part is so important “Having a mercy agenda means we sacrifice time, talent, and treasure for our kids, not stewing in bitterness because we feel as if our life has been robbed of its freedoms.” I now know one of my huge triggers is a short temper when I need to get things checked off my list- which is pretty consistently! I have had to pray through, re think and plan out how to handle this better. I have read your book, it was a huge blessing – a real weapon in my fight against my anger. Thanks so much !! So glad this was helpful, Lee. Awesome, dead on article. 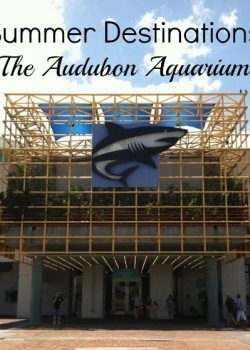 I hope you’ll do an audio version, it’s about the only way my husband and I get to “read”! That’s an excellent idea. Thanks! Thank you for this candid article. One reason that l get angry with my child is because my husband and I are “not on the same page”. He has a lot of personal issues that he refuses to adress and health issues that affect his emotional/mental state. He does not support me in setting firm boundaries for our son , nor does he he do much to correct/discipline our son. Consequently, I get angry because I can not manage my son properly. I am all about mercy, but children need firm boundaries , correction and consequences all done in love, of course. 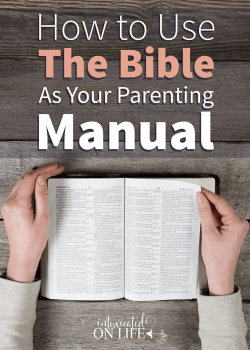 My husband does not go to church with my son and I, does not read the Bible or pray with us. I keep bringing this to God and have others praying with me, but things don’t change. It’s hard not to get angry when my child’s spiritual and moral development is of such great concern. But, no excuses…I am responsible for my own behavior. Ultimately, I will have to answer God for it. How frustrating. It is so important for a child for parents to be on the same page about this. All the more reason for you to be motivated to control anger: when you are the firm parent, when this is combined with anger, you also end up being labeled the “bad” parent. 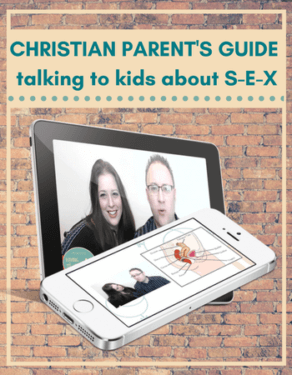 It is critical for your kids to see what firmness without ungodly anger looks like. Yes!!! Beautiful, beautiful, beautiful! Reading this was like an epiphany for me, as well as reading just the back cover of your book! The feelings of disappointment over not being able to control myself and my emotions toward my children but not knowing how to change my behavior. Simply put, I can’t change it only God can transform me as I look to and become more like Him. 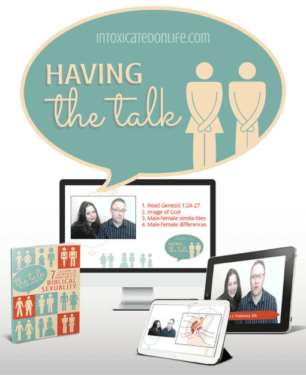 This life is not about me…..thank you for that reminder and the great resource! Thanks for your real words. Incredible how timely they were. I love it when God does that. This is an area I struggle with time and time again. My personality tends towards trying to make things easier for others (ha! Except maybe my kids…..), and so I tend to get frustrated so quickly when it seems they are making things harder for me. Hmmmmm….The sermon we heard today talked about our purpose…..that we are here to bring God pleasure. So if my job is raising these beautiful kids, and I’m reacting in anger towards them and how they are not meeting my expectations, I am not fulfilling my true purpose – to delight my Savior’s heart by being a shadow of Him to their hearts through all of those opportunities for frustration. The ones where I’m supposed to be reacting differently. 🙂 Good stuff. Thanks again for bringing it together with your wise words. Now praying to walk it out differently tomorrow….and the next day and the next. Thank you so much for this insight. I’m a young mom with a 9.5 month old baby girl, and I find myself crying a lot after angry outbursts I feel I haven’t been able to control. God is so gracious to bring this to my attention so that I can become more like Him and raise my daughter with a godly love and only righteous and godly anger. Blessings on you and your baby, Kayla. It’s a lifelong journey, but definitely a journey worth taking. As my oldest son went through middle & esp high school yrs, I had more & more problems dealing w him, losing my temper, mostly yelling & later hitting him bc I thought that wd get his attention. At age 19 he admitted to us he had also been sexually abused on several different occasions when younger. I have lost him to hatred for me. He has left the family, etc & struggles w gender dysphoria. He has some behaviors/ issues that I had a hard time dealing w, which also bothered me bc I work w special needs children. Why so hard to deal w my own? Ur baby is a precious gift, which I also felt when mine was born…So happy, but thgs CAN get away from u & end up being totally different than what u ever dreamed..Praying this will help u!